Michael Bublé’s highly anticipated new studio album To Be Loved is scheduled for release on Friday 12 April it was announced today by Reprise Records. The first single, It’s A Beautiful Day, co-written by Bublé, will be at Australian radio on Monday 25 February and will be available digitally from Tuesday 26 February. To Be Loved, Bublé’s sixth studio album follows his Christmas CD which sold seven million copies internationally. In Australia, Christmas has sold over 8 x platinum and held the #1 position for five weeks in 2011 and for four weeks in 2012. To Be Loved produced by Bob Rock, was recorded in Vancouver and Los Angeles and includes a mix of standards as well as four original songs all co-written by Bublé. After All one of the four originals was co-written and performed by fellow Canadian Bryan Adams. The new album also includes hits previously recorded by some of Buble’s musical heroes including the Bee Gees hit To Love Somebody, Dean Martin’s Nevertheless (I’m In Love With You), the Jackson 5 early ‘70’s smash Who’s Loving You, Jackie Wilson’s To Be Loved and the Elvis Presley classic Have I Told You Lately. Bublé is joined by actress Reese Witherspoon on the classic Frank and Nancy Sinatra duet Something Stupid. “My new record is about love, happiness, fun and yummy things. Getting to work with my friend and long-time collaborator Bob Rock (Call Me Irresponsible, Crazy Love and Christmas) who produced the entire album was very exciting. We’re a good team. I love the songs we selected this time out. It was also terrific working once again with my song-writing partners” commented Bublé. 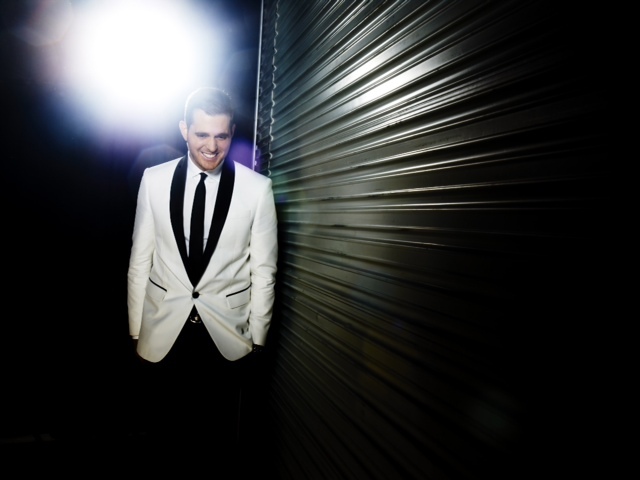 Later this year, Bublé is scheduled to perform ten sellout shows at London’s 02 Arena beginning June 30th.